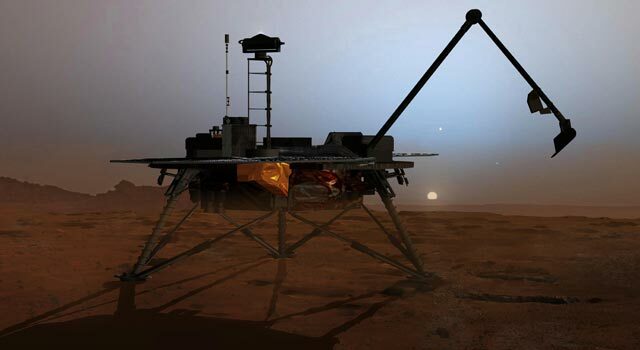 PASADENA, Calif. -- Experiments prompted by a 2008 surprise from NASA's Phoenix Mars Lander suggest that soil examined by NASA's Viking Mars landers in 1976 may have contained carbon-based chemical building blocks of life. "This doesn't say anything about the question of whether or not life has existed on Mars, but it could make a big difference in how we look for evidence to answer that question," said Chris McKay of NASA's Ames Research Center, Moffett Field, Calif. McKay coauthored a study published online by the Journal of Geophysical Research - Planets, reanalyzing results of Viking's tests for organic chemicals in Martian soil. The only organic chemicals identified when the Viking landers heated samples of Martian soil were chloromethane and dichloromethane -- chlorine compounds interpreted at the time as likely contaminants from cleaning fluids. But those chemicals are exactly what the new study found when a little perchlorate -- the surprise finding from Phoenix -- was added to desert soil from Chile containing organics and analyzed in the manner of the Viking tests. "Our results suggest that not only organics, but also perchlorate, may have been present in the soil at both Viking landing sites," said the study's lead author, Rafael Navarro-González of the National Autonomous University of Mexico, Mexico City. Organics can come from non-biological or biological sources. Many meteorites raining onto Mars and Earth for the past 5 billion years contain organics. Even if Mars has never had life, scientists before Viking anticipated that Martian soil would contain organics from meteorites. "The lack of organics was a big surprise from the Vikings," McKay said. "But for 30 years we were looking at a jigsaw puzzle with a piece missing. Phoenix has provided the missing piece: perchlorate. The perchlorate discovery by Phoenix was one of the most important results from Mars since Viking." Perchlorate, an ion of chlorine and oxygen, becomes a strong oxidant when heated. 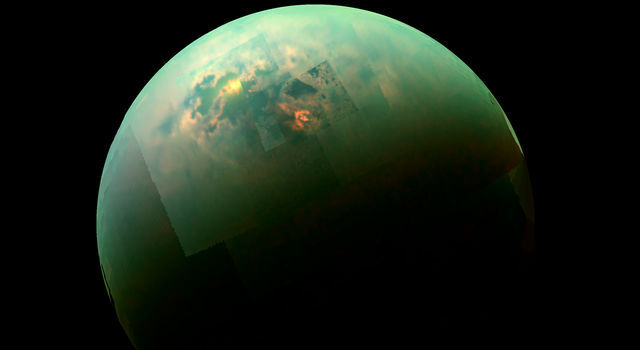 "It could sit there in the Martian soil with organics around it for billions of years and not break them down, but when you heat the soil to check for organics, the perchlorate destroys them rapidly," McKay said. This interpretation proposed by Navarro-González and his four co-authors challenges the interpretation by Viking scientists that Martian organic compounds were not present in their samples at the detection limit of the Viking experiment. Instead, the Viking scientists interpreted the chlorine compounds as contaminants. Upcoming missions to Mars and further work on meteorites from Mars are expected to help resolve this question. 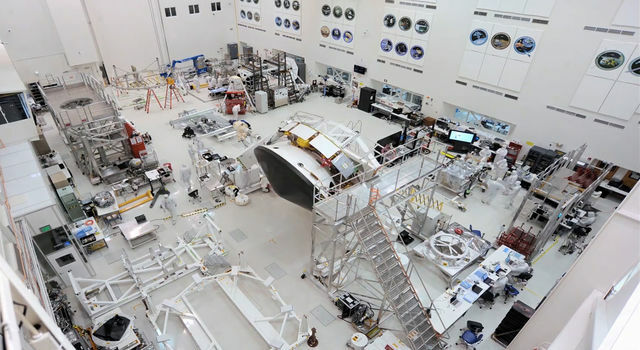 The Curiosity rover that NASA's Mars Science Laboratory mission will deliver to Mars in 2012 will carry the Sample Analysis at Mars (SAM) instrument provided by NASA Goddard Space Flight Center, Greenbelt, Md. 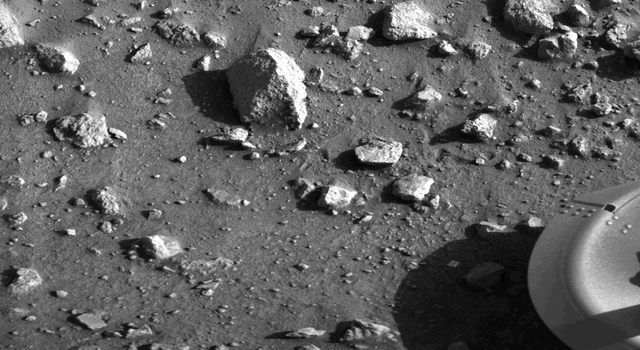 In contrast to Viking and Phoenix, Curiosity can rove and thus analyze a wider variety of rocks and samples. 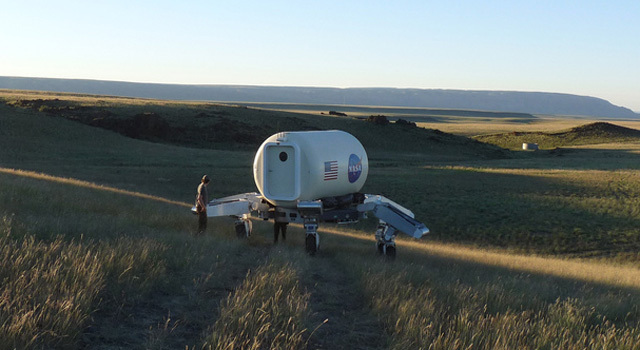 SAM can check for organics in Martian soil and powdered rocks by baking samples to even higher temperatures than Viking did, and also by using an alternative liquid-extraction method at much lower heat. Combining these methods on a range of samples may enable further testing of the new report's hypothesis that oxidation by heated perchlorates that might have been present in the Viking samples was destroying organics. One reason the chlorinated organics found by Viking were interpreted as contaminants from Earth was that the ratio of two isotopes of chlorine in them matched the three-to-one ratio for those isotopes on Earth. The ratio for them on Mars has not been clearly determined yet. If it is found to be much different than Earth's, that would support the 1970s interpretation. If organic compounds can indeed persist in the surface soil of Mars, contrary to the predominant thinking for three decades, one way to search for evidence of life on Mars could be to check for types of large, complex organic molecules, such as DNA, that are indicators of biological activity. "If organics cannot persist at the surface, that approach would not be wise, but if they can, it's a different story," McKay said. 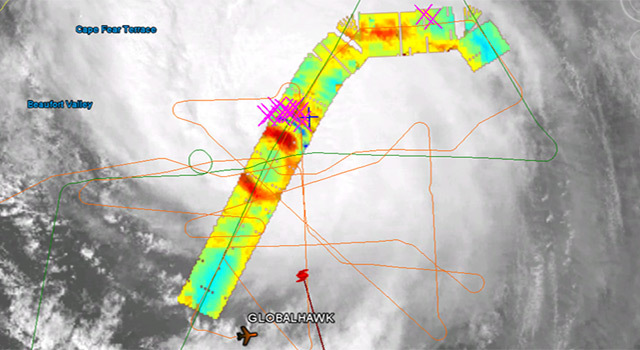 The Phoenix mission was led by Principal Investigator Peter H. Smith of the University of Arizona, Tucson, with project management at NASA's Jet Propulsion Laboratory, Pasadena, Calif. The Phoenix finding of perchlorate was reported by JPL's Michael Hecht and co-authors. JPL, a division of the California Institute of Technology, Pasadena, also manages Mars Science Laboratory for the NASA Exploration Missions Directorate, Washington.